The Maida Kamber Center has a counseling team available to help students with Career Exploration, Transfer & Graduation Services. Do you know what strong skills you possess? Do you know what careers you may find satisfying? Do you need help choosing a major? If you are undecided on your career goal, we encourage you to explore the resources below. Work Interests – Your work interests reflect the kinds of work-related activities and tasks you most enjoy doing. Personality Type – Your personality type is a description of how you react to certain situations and people and how you make decisions, organize information and solve problems. Skills – Your skills are a reflection of your talents and activities you easily learn and perform well. Values – Your values are what is most important to you in life. For example, you might value earning a lot of money, helping other people, being creative and artistic, having a secure and steady job, etc. Leisure Activities – Your Leisure Time Interests are a reflection of the kinds of leisure related activities you most enjoy doing. Kapi‘olani Community College students may self-register in FOCUS 2. Complete the self-assessments. Your self-assessment results will be matched with career options and majors/programs offered at Kapi‘olani Community College. Meet with a Counselor at the Maida Kamber Center who can help you understand what you are finding out about yourself, and decide on appropriate next steps. Starting at Kapi‘olani Community College is a wise choice. You’ll receive a quality education, save money, and with careful planning effortlessly transfer. It’s important to learn about the transfer process and to plan for your transfer early. Our counselors are available to help you determine the best pathway to completing your associate’s degree and transferring to baccalaureate campuses within the University of Hawai‘i system as well as to other institutions in Hawai‘i or the continental U.S.
One of many benefits of enrolling at the University of Hawai‘i is that, with careful planning from as early as your first semester, your transfer from Kapi‘olani Community College to a UH four-year campus can be seamless, and you can minimize your time to graduation. 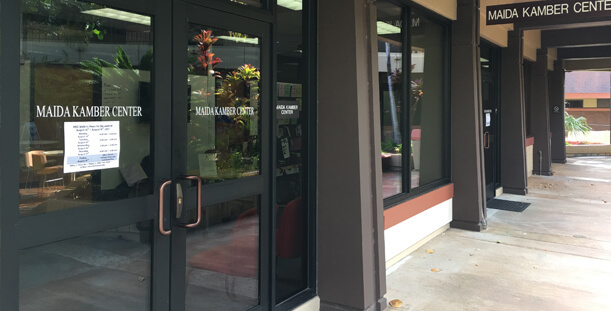 There are three ways to transfer from Kapi’olani Community College to UH Mānoa. There are two ways to transfer from Kapi’olani Community College to the University of Hawai‘i – West O‘ahu. You can transfer by automatic admission or apply directly. There are two ways to transfer from Kapi’olani Community College to the University of Hawai‘i at Hilo. You can transfer by automatic admissionor apply directly. Meet with one of our counselors as early as your first semester. A counselor can assist you with preparing for your transfer based on your intended transfer school and major. UH System Transfer Articulation Database : Search a database of course equivalencies/evaluations for UH campuses, as well as other colleges and universities. Use this site as a guide as the transferability of any course is not guaranteed until an official transfer credit evaluation is completed. Do you plan to earn your associate degree from Kapi‘olani Community College? We are equipped to help you understand where you are on your pathway to graduation. The Maida Kamber Center Office will be closed on Federal and State Holidays.